In what is being described by a landmark deal in Indian pharma, Sun Pharma and Ranbaxy announced that Sun Pharma is to acquire Ranbaxy in an all stock $ 4 billion deal. According to a release from Sun Pharma, it is to create world's 5th largest specialty generic pharma company, the number one pharma company in the US and in India. In what is being described by a landmark deal in Indian pharma, Sun Pharma and Ranbaxy on Monday morning announced that Sun Pharma is to acquire Ranbaxy in an all stock $ 4 billion deal. According to a release from Sun Pharma, it is to create world's 5th largest specialty generic pharma company, the number one pharma company in the US and in India. Within India, get a leadership position in 13 specialty segments and Daiichi Sankyo to become the second largest shareholder in Sun Pharma. The two companies have entered into definitive agreements pursuant to which Sun Pharma will acquire 100 per cent of Ranbaxy in an all-stock transaction. Under these agreements, Ranbaxy shareholders will receive 0.8 share of Sun Pharma for each share of Ranbaxy. This exchange ratio represents an implied value of Rs Rs 457 for each Ranbaxy share, a premium of 18 per cent to Ranbaxy's 30-day volume-weighted average share price and a premium of 24.3 per cent to Ranbaxy's 60-day volume-weighted average share price, in each case, as of the close of business on April 4, 2014. The combined entity will have operations in 65 countries, 47 manufacturing facilities across 5 continents, and a significant platform of specialty and generic products marketed globally, including 629 ANDAs. On a pro forma basis, the combined entity's revenues are estimated at US$ 4.2 billion with EBITDA of US$ 1.2 billion for the twelve month period ended December 31, 2013. The transaction value implies a revenue multiple of 2.2 based on 12 months ended December 31, 2013. Describing it as a smart move, Dr Reddy's chairman G V Prasad said, "they now have a very good presence in India, Sun gets a good presence in emerging markets, which it did not have earlier." Also, he calls it a low cost acquisition as the peak market cap of Ranbaxy was much higher." More importantly, he says, Sun has the ability to acquire distressed assets and turn them around. They have done this with Taro, with Caraco." From the point of view of what it means for the industry, he says, in the Indian domestic market they now become a leader as against Abbott till now. Was Dr Reddy also at some point in time considering a similar move? He said: "I don't think so." In a statement issued by Sun, Dilip Shanghvi, Managing Director of Sun Pharma said, "Ranbaxy has a significant presence in the Indian pharma market and in the US where it offers a broad portfolio of ANDAs and first-to-file opportunities. In high-growth emerging markets, it provides a strong platform which is highly complementary to Sun Pharma's strengths. We see tremendous growth opportunities and are excited with the prospects to create lasting value for both our shareholders through a successful combination of our franchises." 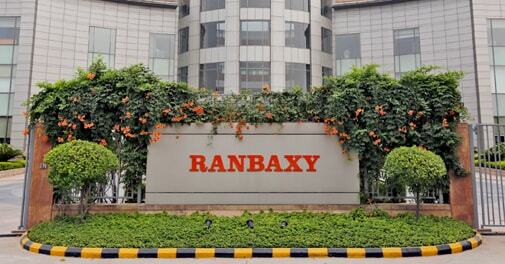 "We believe this transaction brings significant value to all Ranbaxy shareholders. Sun Pharma has a proven track record of creating significant long-term shareholder value and successfully integrating acquisitions into its growing portfolio of assets. We are confident that Sun Pharma is the ideal partner to help us realize our full potential and are excited to participate in future value creation opportunities," stated Arun Sahwney, Managing Director and Chief Executive Officer of Ranbaxy. The proposed transaction has been unanimously approved by the Boards of Directors of Sun Pharma, Ranbaxy, and Ranbaxy's controlling shareholder, Daiichi Sankyo. Ranbaxy's board and Sun Pharma's board have recommended approval of the transaction to their respective shareholders. The combination, the Sun statement says, "will create a large specialty pharmaceutical company with strong capabilities in developing complex products and exploiting first to file opportunities. A combined Sun Pharma and Ranbaxy will have a diverse, highly complementary portfolio of specialty and generic products targeting a spectrum of chronic and acute treatments. The combined business will have a strong portfolio of specialty and generic products marketed globally, including 445 ANDAs. Additionally, the combination will create one of the leading dermatology platforms in the United States." Stating that the combination creates the fifth-largest generic company in the world and the largest pharmaceutical entity in India, it says, the combined entity will have 47 manufacturing facilities across 5 continents. "The transaction will combine Sun Pharma's proven complex product capabilities with Ranbaxy's strong global footprint, leading to significant value creation opportunities. Additionally, the combined entity will have increased exposure to emerging economies while also bolstering Sun Pharma's commercial and manufacturing presence in the United States and India. It will have an established presence in key high-growth emerging markets. In India, it will be ranked No. 1 by prescriptions amongst 13 different classes of specialist doctors." Calling it a "financially compelling transaction", the Sun Pharma statement says: "the acquisition is expected to be accretive to Sun Pharma's cash earnings per share in the first full year. Additionally, Ranbaxy's shareholders will participate in the value creation of the combined company through their ownership of Sun Pharma shares. Sun Pharma expects to realize revenue and operating synergies of US$ 250 million by third year post closing of the transaction. These synergies are expected to result primarily from topline growth, efficient procurement and supply chain efficiencies. 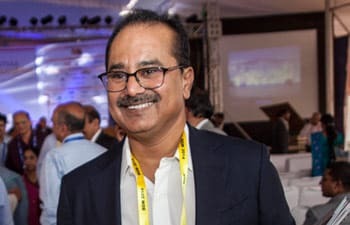 As part of the transaction, Sun Pharma intends to leverage the human capital that has supported both companies, in order to drive future growth." Giving details of the transaction, it says: Under the agreements, Ranbaxy shareholders will receive 0.8 shares of Sun Pharma for each share of Ranbaxy. This exchange ratio represents an implied value of Rs 457 for each Ranbaxy share, a premium of 18 per cent to Ranbaxy's 30-day volume-weighted average share price and a premium of 24.3 per cent to Ranbaxy's 60-day volume-weighted average share price, in each case, as of the close of business on April 4, 2014.The transaction has a total equity value of approximately US $3.2 billion....The transaction is expected to represent a tax-free exchange to Ranbaxy shareholders, who are expected to own approximately 14% of the combined company on a pro forma basis. Upon closing, Daiichi Sankyo will become a significant shareholder of Sun Pharma and will have the right to nominate one director to Sun Pharma's Board of Directors." Ranbaxy, it also says, "has recently received a subpoena from the United States Attorney for the District of New Jersey requesting that Ranbaxy produce certain documents relating to issues previously raised by the FDA with respect to Ranbaxy's Toansa facility. In connection with the transaction, Daiichi Sankyo has agreed to indemnify Sun Pharma and Ranbaxy for, among other things, certain costs and expenses that may arise from the subpoena." Finally, the transaction will need approval by majority in number representing 75 per cent in value of the shares present and voting at the shareholder meetings of each of Sun Pharma and Ranbaxy. Both Daiichi Sankyo (which holds approximately 63.4 per cent of the outstanding shares of Ranbaxy) and promoters of Sun Pharma (who hold approximately 63.7 per cent of the outstanding shares thereof), have irrevocably agreed to vote in favour of the transaction."